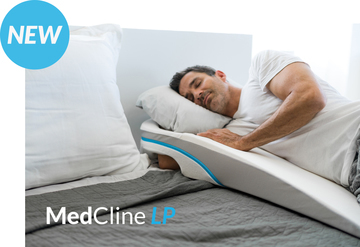 Extra covers for the MedCline Advanced Positioning Wedge purchased here will fit MedCline systems purchased after 3/1/2017. If you purchased your MedCline prior to this date or have any questions, please call us directly at 800-610-1607. For a tutorial on how to remove and install the Advanced Positioning Wedge, please watch our video at: https://youtu.be/vNus2XmSPWI. Very pleased with the Wedge and now with both the wedge cover and pillow cover. We were hopelessly lost trying to figure a way to get the wedge pillow cover on. I was going to suggest that Medcline make a video showing how to install it. Then I thought, maybe they did. I went to You Tube and searched for Medcline wedge. Found it. Had to watch it several times, pause, redo. It helped immensely. I expected the fragile looking zippers to break as a lot of stuffing into the wedge cover was needed. No problem. Obviously, the wedge zippers and material are stronger than they look. The pillowcase was so easy after the wedge. I've long struggled with acid reflux and at some point it was so bad that I thought it was irreversible, but prior to even coming across medcline I found out that my biggest problem was during nights, not in the morning so I started adopting the same concept medcline promotes using other methods and over the years I started getting better and better. I've come to terms with the idea that I will for the rest of my life sleep in this position and medcline just made everything so much easier. 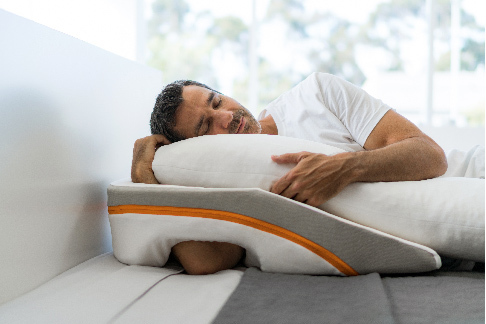 Quality is solid, customer service is solid (they were quick to replace my pillow cover) and it's comfortable.